CCP and Sony Computer Entertainment Inc. (SCEI) today announced an agreement to bring the groundbreaking persistent shooter DUST 514® exclusively to PlayStation®3 computer entertainment system in Summer 2012. DUST 514 is the first console game to link players in real time with a multiplayer universe on the PC, CCP’s award winning sci-fi MMO EVE Online. Don’t get me wrong, I’m not going to waste time being an “Xbox Fanboi”, one of those diehards who thinks that the particular console they own is the only one that should be owned. If that were true, and others agreed, then other consoles wouldn’t exist, yet they do. Go figure. But I am a geek. A huge geek. A huge geek that can probably put you into the ground in real life, and has no need to hide behind the anonymity of the internet to put my opinions out there. I’m not going to resort to calling people “XBox fags”, or use other infantile terms, because my intelligence, my maturity, my character, are greater than that. So back to being a geek. I develop software. I tinker with hardware. My close circle of friends builds automated drones, tractors, self-monitoring houses, and other fun things to occupy our minds. Even if I didn’t think so highly of myself, I would still be entitled to my opinion, and this is it. PS3 only is the wrong choice for DUST 514. Of course, saying it doesn’t make it true, so let’s dig deeper. PS3 hardware is superior to XBox hardware. It really is. Games like Uncharted, Infamous, God of War, Heavenly Sword and more are all beautiful games. Hell, even Mass Effect renders and plays better on PS3 than it does on XBox. For offline gaming, PS3 wins hands down in my books. I can completely understand why CCP liked this aspect of the console. CCP loves shiny. We all know that. But DUST 514 isn’t an offline game, is it? It’s supposed to be a MMO for the console. I’m sure CCP has done some preliminary testing. Maybe even with as many as 40 people. But it’s doubtful to me, given my experience with any form of large scale online play over the PlayStation Network, that the PlayStation platform simply cannot sustain the numbers online to make DUST 514 a success. Shiny won’t matter at less than 1 frame per second. Don’t believe me? Try playing a game like Need for Speed against other players in a full race and you’ll see why the PS3 fails online. XBox hardware is outdated some say. Yet wasn’t it just last year they released a new box? No more ring of death? No more overheating? Yes, yes they did. What has PS3 done lately for its hardware? Oh right. Nothing. Blu Ray player. You know, I can’t remember the last time I watched a movie on a physical Blu Ray. Can you? This used to be a great selling point back in the day. Remember Blu Ray vs HD DVD? Yeah, Microsoft would like to forget as well. My point is, with Netflix, Zune, home media networks, and other mechanisms for viewing everything digitally, that having one of the best Blu Ray players on the market isn’t really a strong selling point anymore for PS3, and has absolutely nothing to do with DUST 514 anyway. As an aside, I still can’t believe that all of us as consumers find it acceptable to wait 30+ seconds for a Blu Ray to load; no wonder we all went digital so quickly. Free online play via the PlayStation network. My account iz hackd! There’s been a lot of crying about the recent attack and subsequent closure of the PlayStation Network. Personally, I don’t think this will still be an issue by the time DUST is released in 2012. Many recent PS3 titles have suffered from this, notably Mortal Kombat for me, but I am confident Sony is doing everything in their power to implement the correct solution in a timely manner. I expect they will fully recover from this fiasco. If they don’t, DUST is the least of their concerns. Of course, XBox Live has a free online service as well, and offers paid content in a very similar manner to the PlayStation network. I’m going to give the edge to XBox Live simply because Microsoft continues to make great releases/updates to it every few months; something that can’t be said for Sony. Kinect. I really don’t need to say anything more there, but for you PS3 owners reading this, I will. Kinect has been, and will continue to be a game changer; literally. The hardware is far superior to any other gaming hardware out there, and there have been countless innovative uses of it. It’s an affordable robotics kit really, and many tinkerers have torn it apart and done amazing things. As far as gaming goes, according to E3 2011 (coincidentally on June 6), there is a slew of upcoming games that leverage more of the power of Kinect than any of the released titles to date. Mass Effect 3, for example, allows full voice commands for squad actions. Could that be useful in DUST? You better believe it. Or the next Ghost Recon that lets you use your hand to customize your gun in real time? Nah, that couldn’t be useful at all in a space shooter. Simply put, PS3 can’t compete with Kinect. Period. Market Share. According to Wikipedia, as of June 2011, XBox has a greater market share than PS3 by over 5 million; a substantial number of potential DUST customers being ignored. There are other factors at play of course. Some say that Microsoft is too strict with the way things work within their marketplace, yet somehow games like Halo, Dragon Age, Mass Effect, Mortal Kombat and others have always managed to get by just fine. In fact, many of those titles are even cross platform, being sold for XBox and PS3 alike. So why not DUST? We all know CCP is not a behemoth in the gaming industry. Not yet anyway. Sure, EVE Online continues to do well, but as a veteran player of that game I can tell you its mostly reactive bursts of initiative to quell rising user complaints than anything ongoing and proactive to make the game better. CCP itself has made it clear that the majority of their development efforts are being spent on the upcoming World of Darkness, to honour their committed launch date to partner White Wolf Publishing. Where’s the rest of their resources going? DUST 514. I am confident they have neither the manpower nor the finances to develop DUST 514 for both PS3 and XBox. At the end of the day, they had to choose whom to get in bed with. They chose Sony. This was probably done before Kinect was even a buzzword. This was probably done because CCP is new at console development and saw the PS3 as the easier platform to develop their product on. I don’t honestly know. I’m basing this on my own personal and professional experiences with CCP from a business standpoint, having been a co-developer of the now defunct Capsuleer iPhone application for EVE Online. CCP is great at ideas. They aren’t so good at business. There has been some debate on Twitter amongst EVE Online’s #tweetfleet about the wording of the announcement; particularly the part about “premiering exclusively” on the PS3. Some seem to think this indicates there will be a follow up release for the XBox shortly thereafter. As I mentioned, CCP has neither the money nor expertise to pull this off on both platforms successfully for initial launch. But, if the microtransactions of DUST go well on PS3, I could see CCP developing for XBox as well in the distant future. Having said that, if I look at their track record for developing new ideas for EVE Online and actually implementing them, I would expect to see DUST 514 on XBox as early as 2016. Do I think DUST will be successful? Yes, I do. Do I think it work well with EVE Online? Yes, I do. Do I think it’s a brilliant idea? Yes, I do. Do I think I will be playing it? No, I definitely won’t be. The only game on my PC is EVE Online. I only own a XBox 360. While I could afford it, I can’t justify spending that kind of money to play one game. No thanks. Am I annoyed by this announcement? I would hope that’s obvious by now. What is your opinion? Your thoughts? Please share them in the comments below, and if you come across any other good rants about this topic, please link them as well in your comment. 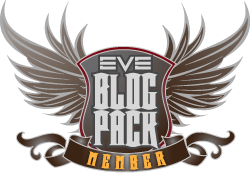 This entry was posted in Roc's Ramblings and tagged dust 514, EVE Online, Roc Wieler. Bookmark the permalink. Connectivity is the issue here. Microsoft have been notoriously and adamantly difficult about allowing games on XBox Live to connect to and interact with other services. PS3 have been welcoming and open on this front. Job Done. Valid point. Could’ve been the deciding factor for sure, though I would like to think Microsoft has a system in place for this type of thing, groundbreaking or not. I agree PS3 is better hardware and XBOX has better live support. I understand the decision to go with PS3 but I am disappointed. I do own a PS3 it has not been used in over a year. I like the XBOX controller and I prefer XBOX games. Will I play Dust514 yes, but If it would have been on XBOX instead of purchasing just 1 copy I probably would have purchased 5 so that everyone in my family could play online together. Hahaha, I never considered that possibility. Good point. My understanding was that CCP were deliberately targeting the diametrically opposite market to the one in which EVE Online exists, so they explicitly do not expect their existing EVE Online subscribers to be playing DUST514. They want new customers. I’m not a techie, so I have no idea about the reason for the XBox snub, but I’m happy to take others’ words for it regarding Microsoft’s restrictiveness. If what you suggest about the PS3’s inability to function as an MMO platform is true, that is worrying. But perhaps Sony have something in the works that will address this. If they’ve got the vision and capability to specialise in console MMO tech, it would certainly allow them to corner a market as Microsoft have with the Kinect and Nintendo have with family-friendly Wii fun. If Sony are on the case, it would be great to see CCP and DUST514 be the vanguard of a new console gaming era. If Microsoft has no leniency when it comes to allowing games to interact with third party services as suggested, I can see that being a critical factor for choosing PS3. Sadly, it still doesn’t change the facts about the weaknesses of the PlayStation Network (not talking about the security oops). As you said, maybe Sony does have something up its sleeve, and DUST will usher in a new era. Let’s hope so as that can only be good for EVE Online. Personally, I’m more upset that it’s on console only than by which console. Keyboard and mouse for shooters, Control pad for fighting and racing games! That said, I only own a 360, and have no intention of getting a PS3 for anything, ever, so if it has to be console I’d have preferred the 360. Yeah, I hear a lot of existing players upset about it being console only. Having said that, it’s been made clear since day one that the entire DUST 514 initiative was for console. And I’m with you about the 360. Maybe one day we’ll be lucky and can play DUST. yup I pretty much agree with all your points. I still firmly believe this would be an amazing PC Shooter, and still could claim to be the first FPS MOO out there. Damn I’d love to play both EVE and DUST on my PC, able to switch games and take part in both fights… have our own alliance mates fighting alongside on an FPS arena for conquest… damn you CCP! And I agree with you 100% CCP has great ideas, bad business management or business sense even about how they should grow and expand… I mean… you alraedy have tons of subscribers, with a PC that play EVE already… Give THEM DUST first, then port it to consoles a couple years after… the FPS industry is second to MMO industry with billions of $ of share for the PC, at least in the US. Perhaps DUST will come to PC through Incarna? Given what we’ve seen so far, I highly doubt it, but I admit I am quite the CCP fanboy… so I’ll just keep hoping.. I think hope describes 73% of the existing EVE Online subscription base. I guess in a way it’s good for me. Just means as Incarna matures I’ll open a quiet little bar somewhere to spend my time. • Knowing Sony they probably “helped” in several important ways. As you mentioned, CCP is not a console developer and working on a platform game for years is financially expensive. This exclusive deal more than likely came with financial dividends that CCP couldn’t ignore. In fact, I’d bet it did. I own both console systems, so I don’t have a dog in this fight. But if I was a start-up console developer those two issues would decide it for me. More valid points! In the end it can often be “Who will pay/help me more to develop on their platform”? Ironically I just realized SOE = Sisters of Eve = Sony Online Entertainment. Think that was a deciding factor? Personally what worries me the most is the mention of using the move controller, now I understand that motion control is the big thing right now and its worked wonders for the Wii but I really have to question how good a choice this is for a shooter when its already at a bit of a disadvantage simply by being on console instead of pc. It’s being used in some games as effectively a light gun. If this works (and I’ve yet to try it) then it might solve some of the PC vs Console accuracy and response time issues. Couldn’t possibly agree more, though, like others have said, I think the major fail is not in which console, but the game being console only. Let’s consider this scenario, dust tries to break into the crowded console fps market full to the brim with really really good games and fails horribly. Call that the worst case. Bad for ccp, bad for eve. But what scares me is the best case scenario, the game is a hit, and is popular – for a few years. Then Sony makes a new console, gamers get bored, whatever, and dust dies. This is inevitable on a console. Then eve players are left with another empty husk of a gameplay aspect while ccp works on a different mmo. We own a ps3 and an x-box…. but the ps3 wins for me hands down. I find it more user friendly than the xbox. Yes there is online issues (hacking is more to do with the idiots that target psn), but we have never had any problems playing cod, need for speed or anything online…. Oh and yeah, we do own a standalone blu-ray player that sits on the shelf above the ps3…. The ps3 is the stronger console, hardware and software wise. Maybe sony didnt upgrade the ps3 because it didnt need it. I’d had mine for 4(ish) years and… touch xbox…. its never had a problem! I agree with a great number of your points here as to DUST 514, and how it’s heart breaking and disappointing that it’s only on the ps3. It’s not that I’m anti sony (Though i feel a lot of their grand standing as of late with the hacks has been really stupid) it’s more looking at it from a business point of view. CCP would have done better if they stuck to PC, or just made it multi platform. Could they no, and just based on market share, if they wanted to get into the console market, should have went with Microsoft. It’s not as if Microsoft doesn’t allow MMOs to be on the console. Final Fantasy XI is on the 360, and it runs well. Hell Square came up with Achievements just for the 360, so that it would fit better on the system. You could still by the add ons for the game, outside of going through the 360 market place, and be good to go. So it is possible to fit it onto the platform. And the point of Kinect support, you nailed it on the head. Just curious if I could post this article over on justpressstart.net? I would simply like to point out that xbox has updated its hardware to fix errors that PS3 didnt have in the first place. So Xbox hardware may not be outdated by release date, but it is still fixing the mistakes PS3 didnt do in the first place, so there is no need for PS3 to release fixes that doesnt exist. And microsoft wouldnt know how to run business in equal market shares, so if they have survived its logical they have bigger share. besides tere are less PS3 users due to blueray being bloody expensive thing. still i prefer a gameplay with less but more mature PS3 crowd than 5 million more 10 year old screaming kids from eggsbox crowd. or better yet, just stick to eve. The irony of course is that if you look at http://www.dust514.com and their live Twitter stream, you’ll see that the PS3 crowd is showing just how mature they are (or are not). I don’t think either console has a more mature crowd. I think all internet gaming is ruled by loudmouthed, obnoxious kiddies that hide behind the skirt of anonymity. First off, PS3 isn’t easier to develop on. Sony and their Cell processor combined with custom off the wall graphics hardware ensured that. This is why when you actually look at cross platform games(360-PS3 comparisons) you’ll find that the PS3 versions don’t actually look as much better as you’d expect, due to the sheer amount of work optimizing for Cell. Second up, PSN. Oh sweet mercy what a debacle that has become. I’m sure that the deal was inked long before hand, but in the fallout of all of that, I would not want to announce a PS3 exclusive, online only game. In this regards, stating that CCP has poor business sense is like saying it’s a bad idea to wave a ribeye steak in front of a black bear. Third, I don’t think DUST514 will do well. In fact, I think it’s going to flop hard. As you mention, CCP is already stretched to the limit, between WW and Incarna(you do remember, that, right? All the frivolous crap they’re adding to the internet spaceship game to increase revenue?) they don’t have the resources to devote to a console shooter. If they were going to release this as an exclusive, PC is where it should have been. And as others have stated, there isn’t a way to get outside of MS’ system without having your own hardware and the business weight of a company like EA, because they’re really the only company on 360 that has their own multiplayer servers set up and running, and I’m quite certain that they’re paying MS through the nose for the privilege of screwing their customers. With all that said, I do think that it was, and is a fantastic notion; two completely different games interacting with one another is fascinating on multiple levels. I really don’t think that CCP fleshed this idea all the way out, and like Incarna, the idea is going to wind up biting them pretty hard down the road. Thanks for the insights into Cell. I’ve never actually developed for it, so good to have some confirmation from someone more knowledgeable than myself. Dust doesn’t need to be the best shooter ever (as it has the whole persistence/mmo angle going for it) but it does at least need to be in the same ballpark as the top FPSs. Otherwise it’ll just be EVE players buying it! And you can’t just hire a bunch of devs and decide to make a game that is close to the genre’s best, at your first attempt. If i were CCP and someone said that to me, i’d bite their hand off. Having Personally played MAG with 256 players at once on the PS3 with minimum to no lag i don’t understand your argument about the PS3 Failing online I’ve always had a better experience playing online on the PS3 then the Xbox (which I have and have played online). also with the Kinect vs. Move arguement as a console gamer who prefers online shooters, with many console gamer friends who prefer the same, I can say as a collective whole…who cares.